Home Cycling Campenaerts beats the record of the hour (55,089 km): "I am one of the best in history"
Campenaerts beats the record of the hour (55,089 km): "I am one of the best in history"
The Belgian Lotto Soudal, 27 years old and time trial specialist, surpassed Bradley Wiggins' 2015 mark of 54,526 in Mexico. 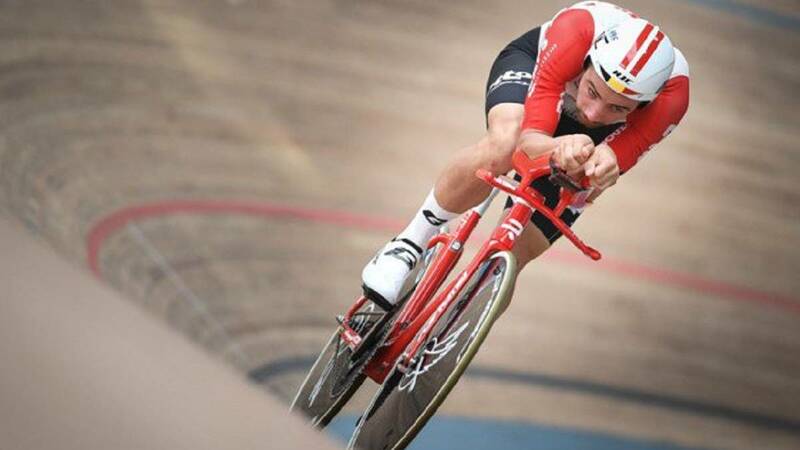 Victor Campenaerts beat in the velodrome of Aguascalientes (Mexico, at almost 2,000 meters of altitude) the record of the hour that Bradley Wiggins established in 2015 in London: 55,089 km of the Belgian by 54,526 of the British . Campenaerts, 27 years old and specialist against the chrono of Lotto Soudal, is the first man to break the barrier of 55 kilometers approved by the International Cycling Union (UCI). Tony Rominger, with 55,291 in Bordeaux (1994), and Chris Boardman, with 56,375 in Manchester (1996), were considered better human effort to use modified bicycles. Since 2000, Eddy Merckx went back to the list with his 49,431 from 1972. Miguel Indurain made 53,040 in 1994 in Bordeaux. Flamenco, doble champion of Belgium and Europe against the clock and bronze world championship in 2018, sacrificed much of the road season (only played the Tyrrhenian, with victory in the last timed stage) to prepare "one thousand percent" and acclimatize, in Namibia, to the height of Aguascalientes: "I thank Lotto Soudal for the confidence he gave me have freedom in this first part of 2019 and focus on the record of the hour. I calculated to the millimeter the power, the developments and the tempo. I also did not want to destroy Wiggins' record and be embarrassed, but I did not keep anything and I did it. " Emblazoned on the Belgian flag, Campenaerts concluded his speech on track "full of happiness": "This record places me among the best in history" .